One aspect of app marketing that many developers are not aware of, is how much bigger the world outside your own backyard is. Most apps are developed in English, for an English audience. For most developers that is fine, since the audience of English users is so huge. 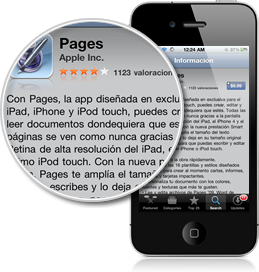 However there is an independent app store in more than 150 countries with 40 different languages. What does this mean for you? If a user in a non English speaking country has a choice between two apps – one in English, and one in their local language – they are more likely to choose the local language version. If you do make a non English version of your app, then you may have less competition in the country that you target. It is expected that countries like China (where iPhone sales are booming) will one day eclipse the US store in app store sales. So why not be a part of that growth today? So should you translate your app into a different language? Which language should you start with? The best place to begin would be to look at the markets where your app is already successful. Are there any non English markets there? If so, develop for those markets first. In the above chart, you can see that France is the 4th most popular country for this app. So a French version could be beneficial. As could an Italian, Dutch and Chinese version. Depending on the type of app you have, and the resources you have available for it, you can start by just translating the meta data – i.e. the app store description of your app. This way, someone using the French version of iTunes would see a French description of your app. Your app itself might still be in English, but at least the sales copy would be in French, which could be a good start. Apple provides a lot of resources in these areas to allow your app to automatically conform to the user’s device language settings, so take advantage of them. 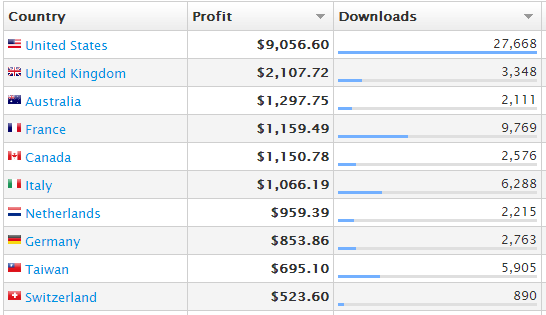 Don’t forget to track what effect the localization changes has on your downloads and profit from those countries. This way you will know if the effort was worth it, which will help you plan your strategy for future apps.